Our signature massage experience includes a single-note aromatherapy massage and hot towels. Calm your mind, body and spirit. Drift away with this classic massage using gentle pressure and long flowing movements. A nurturing massage for the mother-to-be. A specialized pregnancy pillow system lends support while our expert therapists provide gentle care. Swelling and stress on the body give way to restored vitality. Friends and loved ones spend quality time side by side in our luxurious couple’s spa suite. For your comfort, Hot Stone Massages are performed in separate rooms. Working at a deeper muscle level, therapists use firm, focused pressure to deeply manipulate tight muscles. Recommended for consistent pain and soreness. Hawaiian style massage utilizing long continuous, flowing strokes, enabling deep relaxation. A specialty Swedish massage using the warmth of heated basalt stones to penetrate sore muscles while promoting circulation. Our experienced therapists combine modalities to address your specific needs. 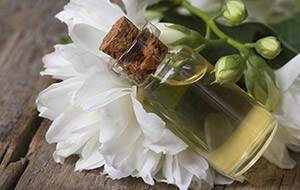 are an extraordinary sensory journey that blend time-tested techniques, fine quality aromas, and attentive service to meet your relaxation needs. Ask about our Wave Cleanse Sensory Steam Shower, a perfect finish for any massage. 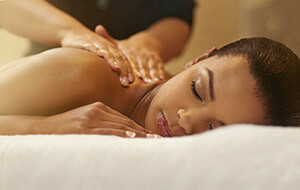 MASSAGE: One of the oldest healing arts, massage dates back 3,000 years to the ancient Hindus, Persians and Egyptians. Massage improves circulation and helps relieve the stress and tension of everyday living that can lead to disease and illness. Today, the benefits of massage are far-reaching. Manipulation, movement and re-patterning affect structural changes to the body to help achieve balance.